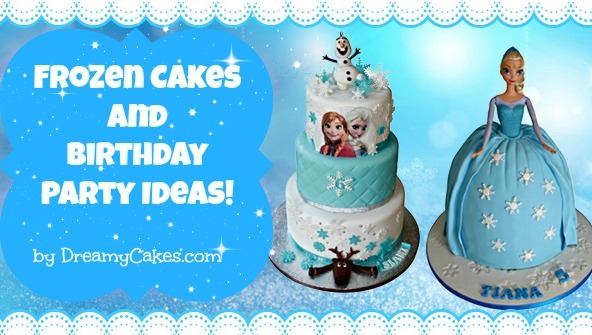 Frozen Cakes and party ideas aplenty! 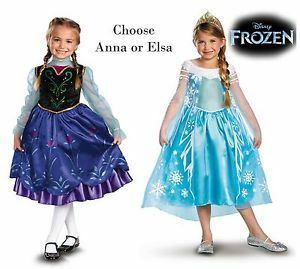 The Frozen movie is so popular right now. 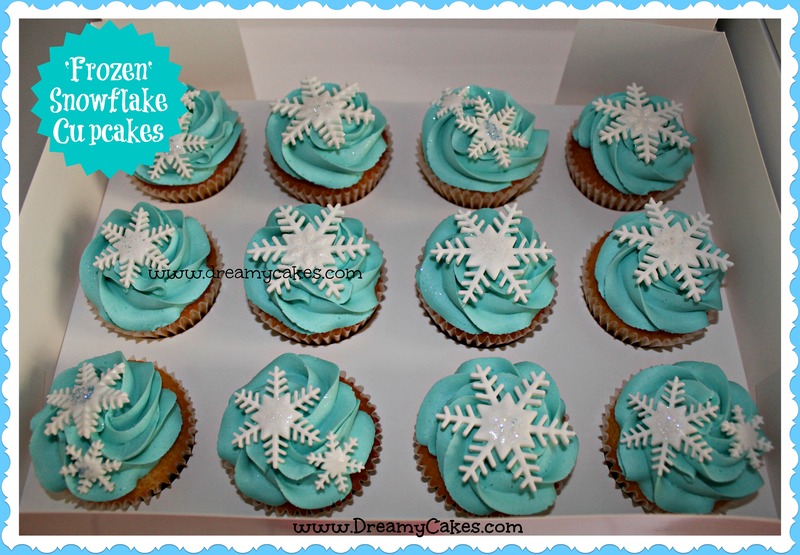 We have been busy creating lots of Frozen cakes and cupcakes! 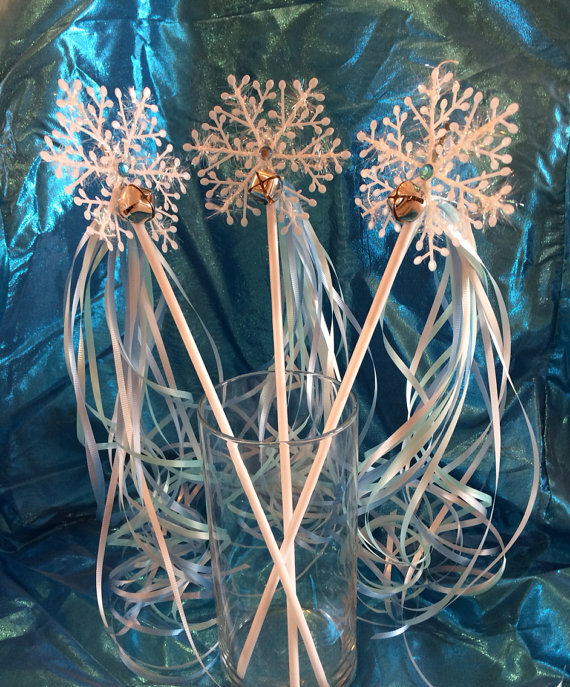 We’ve come up with a list of some great ideas for you to throw your own very special Frozen party…..enjoy! 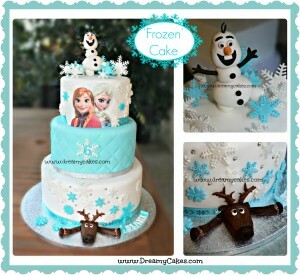 This 3 tier Frozen Cake is a gorgeous design for those going all out throwing a large party! This beautiful cake will serve up to 60 people and features edible sugar characters, snowflakes and more. 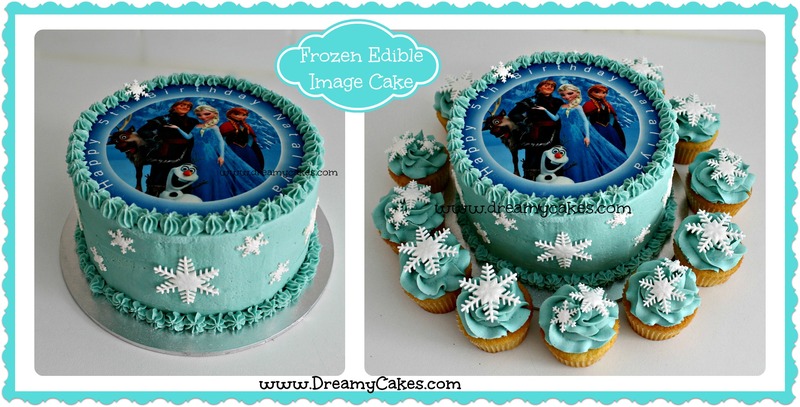 Your child’s favorite Frozen character can me made into an edible centerpiece. 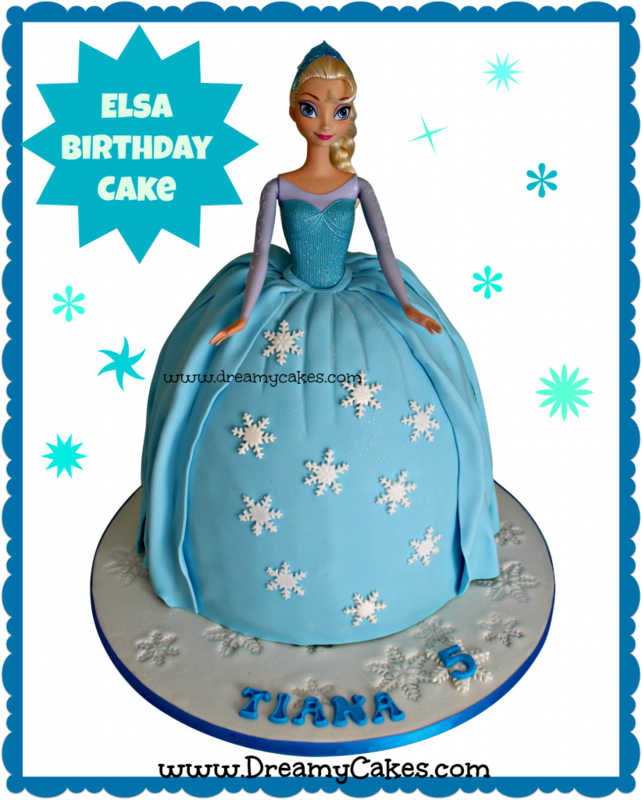 The following cake is a doll cake of the character Elsa. 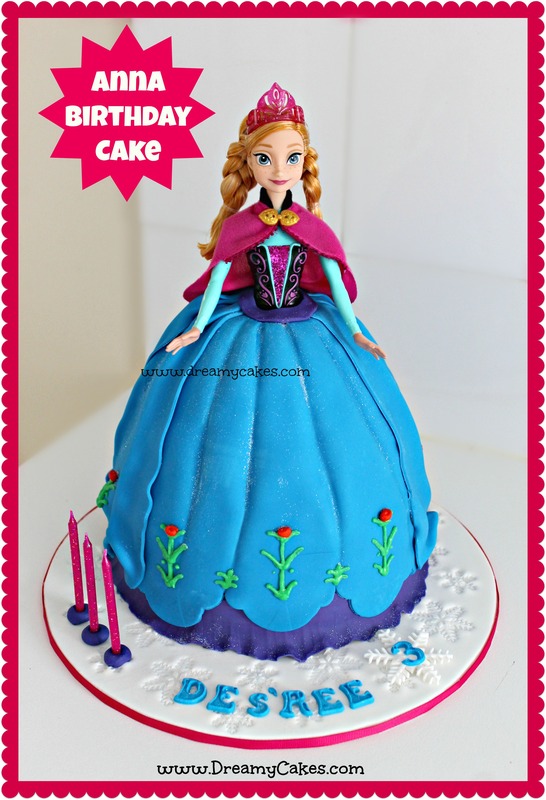 This cake includes a keepsake Elsa doll for the birthday child. The skirt of Elsa’s dress is made from cake sprinkled with edible glitter! For the more budget conscious, an edible image cake is a great option. 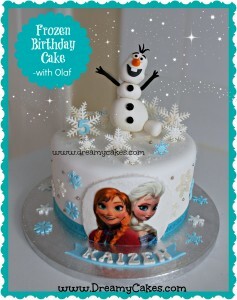 Finished in buttercream icing and topped off with an edible print of all the Frozen characters, this cake looks great by itself or matched with our snowflake cupcakes. 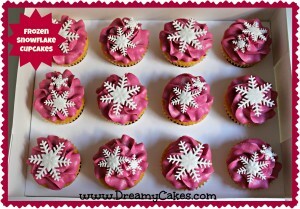 If you are having a smaller celebration at home with just the family, cupcakes are an easy option. Our cupcakes are nut free and suitable to take to school or daycare to celebrate with friends. 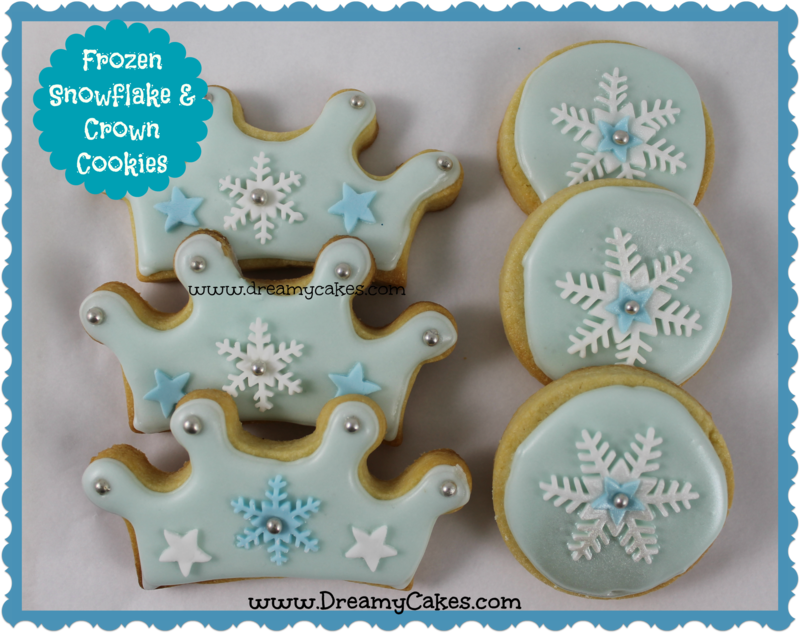 These little beauties feature our delicious buttercream icing topped with sugar snowflakes. 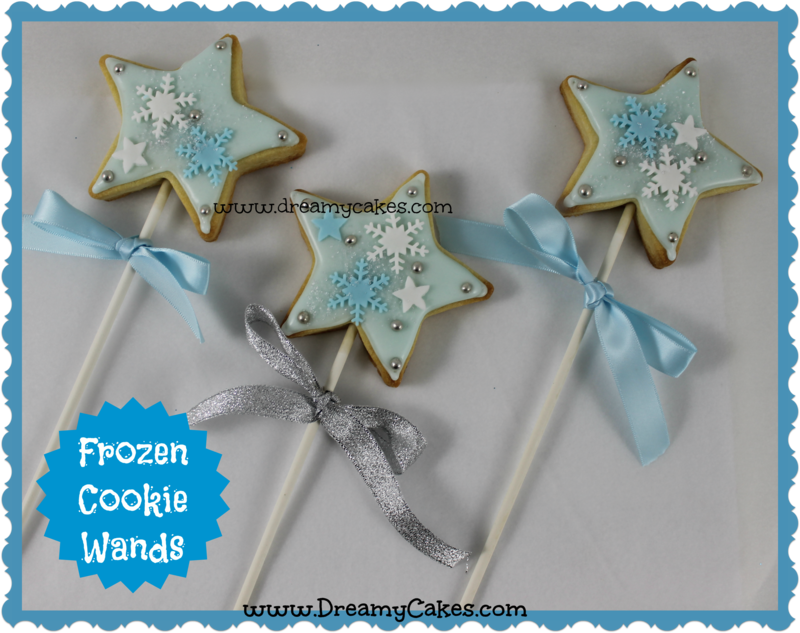 These cute ‘cookie wands’ are perfect to serve on the party table or as a special treat for your little guests to take home. We love these invitations from CeMarie Prints we found on Etsy. You get an instant download to print as many as you need. 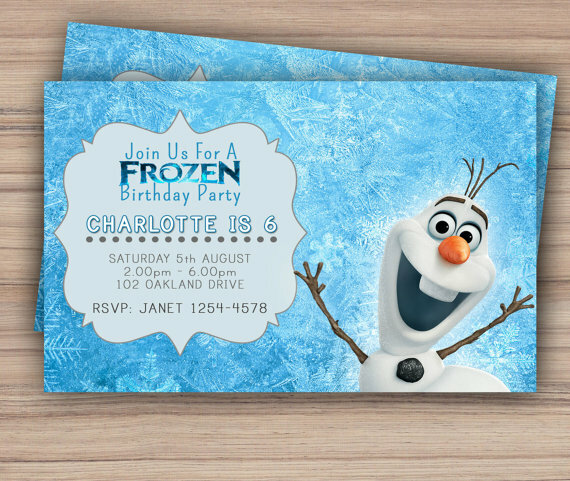 Plus you can also purchase matching party items like drink and food labels.